At Studio 921, we offer several different highlight options to add just the right amount of dimension to your hair. Check out our services below to find out which is best for you! *Prices subject to length, texture, density of hair, and skill level of provider. Color does not include a blow dry. Balayage highlights are also referred to as hair painting. Stylists apply color using a freehand technique. 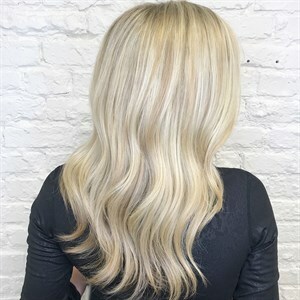 The color is "hand swept" by the colorist from mid-shaft to ends, which differs from traditional highlights that are applied from the base of the hair. This technique allows for a more natural-looking highlight that is a bit easier to maintain. 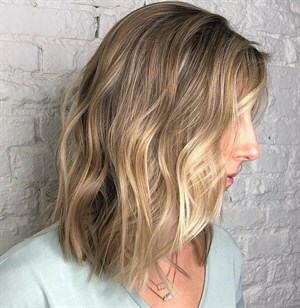 These highlights are placed around the face for a brightening and framing effect, though some stylists place the highlights around the top layers of the hair. The addition of face-framing color can add volume and body to hair and make your colors more dramatic and dimensional. Like it sounds, full highlights are applied to every section of your head, from the nape of your neck to your hairline. The highlight color usually appears in contrast to the original hair color and can look quite dramatic and dimensional if a very light hue is chosen for dark hair. Conversely, they can also appear the most natural - if similar colors are blended together. Face-framing highlights are a popular technique where the foil is placed on the perimeter bordering the face. This allows for lighter-colored hair around your face which adds visual interest and draws attention to your face. Hair is colored darker at the roots (or left alone if naturally dark) and fades to a lighter hue at the ends (or vice versa). 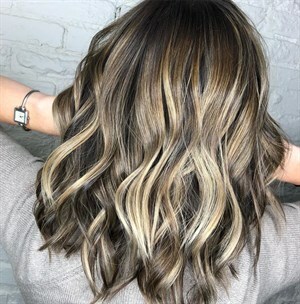 This look is generally low-maintenance and uses the Balayage technique to paint color onto the bottom half of the hair length to create a gradient (Balayage is the technique, ombre is the look).